Have you ever felt like you needed to hear the words, “You can do it.” Or perhaps you longed to hear just a bit of assurance that, “I have experienced something similar, and it will be ok.” Perhaps you’ve looked around and seen others where you once were and longed to tell them, “It will get better.” And maybe you’ve just watched others in life and wished you could ask for their opinion, thoughts, or advice. It just might be that you could benefit from a mentoring relationship. If you have ever had a mentoring relationship, you could share something you’ve gained, I’m sure. 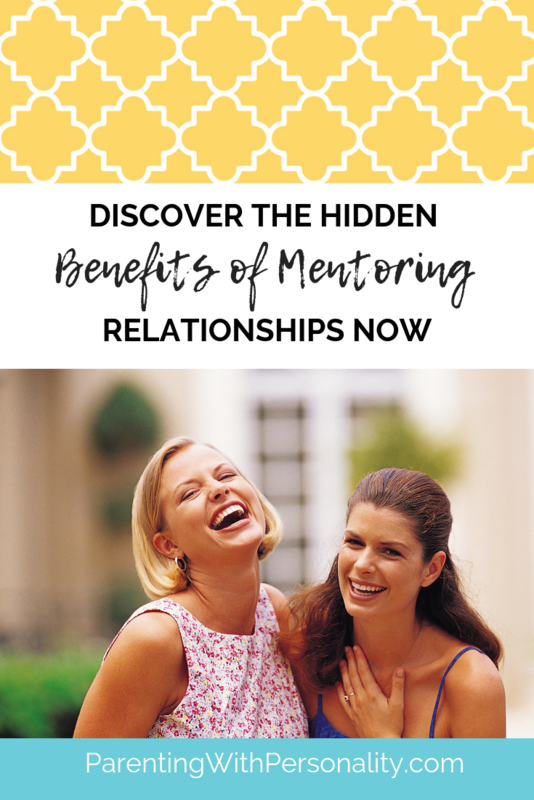 And if you haven’t ever experienced a mentoring relationship, I’d love to share some benefits and encourage you to try it out. National Mentoring Month would be a great reason to give it a shot! 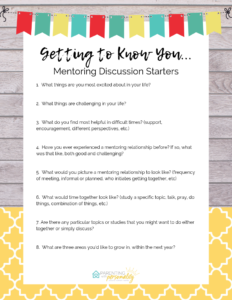 Don’t forget to grab your free resource for this week: Mentoring Discussion Starters on the subscriber-only free resources page. There are many opportunities in life that people tell us things or even do things for us. But nothing compares to the connection formed with a mentoring relationship. Having someone to cheer you on, advise, listen, invest in, care for, interact with, challenge, and simply do life with you is priceless. Having that special someone that you can interact with and the result is growth and genuine connection. That relationship makes you feel special. Some of my deepest moments of connecting, learning, and growing have been in the midst of a mentor relationship. I remember experiencing my first mentor while in elementary school. This special lady, Faye, poured into my life in numerous ways, advising me with friendships, listening to my fears, encouraging me in my challenging junior high years, and pouring into my life as a young mom. Over the course of 30+ years, she challenged me, encouraged me, and invested in me. I think she was undoubtedly one of my biggest prayer warriors. She inspired me in my dreams of being a wife and mom of many children, as well as someone who gives and serves. She made me feel a special sense of care and acceptance. Just over a year ago, this special lady passed away after a battle with cancer. Faye always held a special place in my heart and always will. I can’t count how many times in the last year I’ve wished I could send an SOS message and get her advice or prayers, or even just hear her special words of encouragement and understanding. I will forever feel blessed by her presence in my life. She was truly God’s hands and love extended. I hope and pray that I can inspire another as she has me. If one were to look up the word ‘mentoring’ in a dictionary, you’d find very little. In fact, the simple definition is to advise or train (someone, especially a younger colleague). But that seems like such a boring and uninvolved way to define a relationship that carries such power and meaning. A more formal Wikipedia definition might include something like a learning and development partnership between someone with vast experience and someone who wants to learn. I personally think it is somewhere in between, yet richer in its meaning. If I were to define mentorship, I would say it is the relationship shared between two people as they seek to grow and learn, experience life together, and share authentically with each other from the experiences of both the past (and experience gained) and present (in current situations). 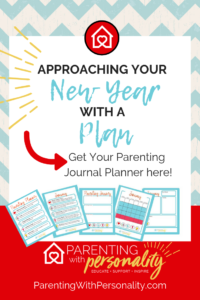 Mentoring relationships may have a focus, such as meeting goals, parenting, marriage, life challenges, spiritual growth, finances, career, or some other shared topic or theme. Or it might just be that you discuss several of these or life in general. Either way, mentoring relationships are not something new. In fact, even back in Bible time, the older women would teach the younger women. We read about this in Titus 2…Teach the older women to be reverent in the way they live…then they can train the younger women to love their husband and children, to be self-controlled and pure, to be busy at home, to be kind… These words in Titus 2:3-5 paint a very clear picture of how this training filters down from the older or more experienced to the younger or those seeking and learning. Mentoring provides many benefits. For those who have experienced having a mentor in your life, you may choose to comment with more benefits. But I’d like to mention just a few benefits that I have experienced both through having a mentor and being a mentor. I thought it was neat that as I looked up quotes on mentoring that there were numerous meaningful quotes that helped prove my points. Mentoring provides a sounding board, solid advice, or encouragement in your life. John Crosby said it well with this quote: “Mentoring is a brain to pick, an ear to listen, and a push in the right direction.” It can be a great tool to have someone who can hear you out, give some differing perspectives, share how they may have experienced something similar, and offer thoughts you hadn’t yet explored. They may help fill in the blanks, offer differing solutions, or disagree. Whatever the communication includes, you know they are investing deeply and authentically in the conversation. Mentoring provides a valuable perspective on who we are. In the mentoring relationship, we share at a level that is likely deeper and more trusting than other relationships. In this deeper sharing, others may get a view of our hidden talents and abilities and help us tap into those traits to grow them. It may be their questioning, challenging, and spurring us on toward growth that helps us truly seek to develop those traits or abilities. Mentoring provides a trusted place for us to be held accountable. This relationship allows us to help hold each other accountable and possibly even be confronted in a safe and trusting manner on things that we may need to grow and learn from. As the Bible states in Proverbs 27:17, “As iron sharpens iron, so one man sharpens another.” Within this trusting relationship, the parties experience a sense of accountability and knowledge that the other may ask about their progress or check-in. And that can be very valuable in the process of growing or changing. Mentoring provides a helpful road map. 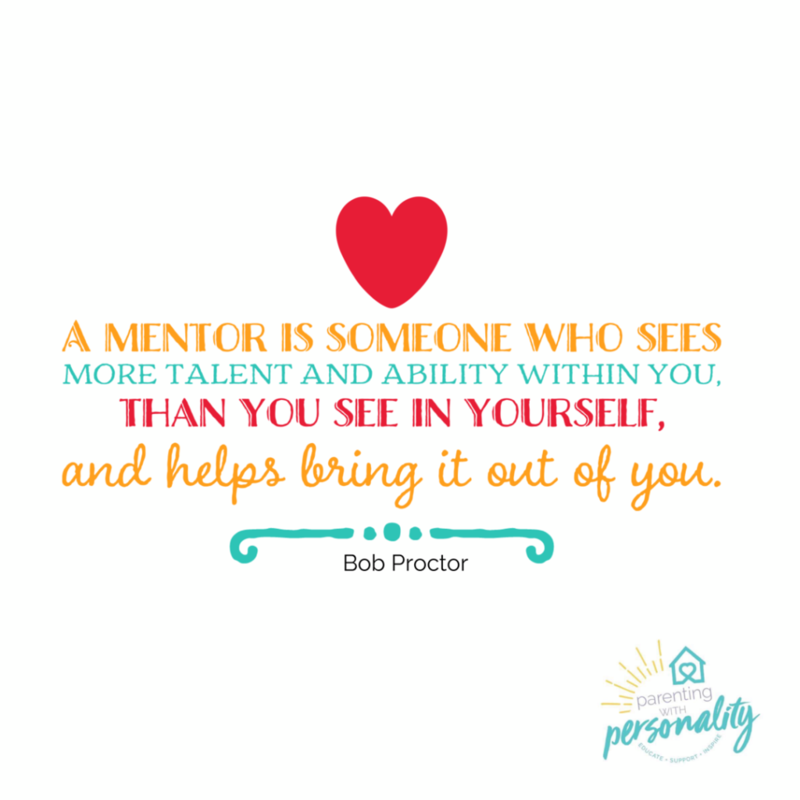 Usually, within the mentoring relationship, one person has experienced something that they can help the other with. They may be further along in the journey because of circumstances, maturity, age, situation, or other reasons. John Maxwell’s words express it well. Mentoring provides both direction and encouragement. According to Steven Spielberg, “The delicate balance of mentoring someone is not creating them in your own image but giving them the opportunity to create themselves.” How true this is. A mentor might offer direction for where they have been, but they also fully appreciate that each situation is unique and individual. There is a great benefit in someone valuing your ability to handle things in a way that best suits you and who you were created to be. Mentoring provides you with a trusted individual that can tell you even the tough things. A quote by Cosette Guiterrez says this well, “If your mentors only tell you that you are awesome, it’s time to find other mentors.” While this is a relationship that encourages and supports, it also does so authentically. There is trust built between the parties and they are able to share things with you that you might not hear as well from others. And you trust their intention in telling you even those difficult things. Mentoring provides you a way to learn from other’s experiences. Often, we are faced with decisions and varying ways to handle things. Those options can cause us to feel anxious, stressed, or fearful. 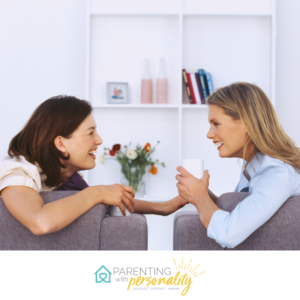 This relationship allows you to explore options, and often the mentor can share from their personal experiences or things they have learned along the way that may relate. According to J. Loren Norris, in his quote “If you cannot see where you are going, ask someone who has been there before.” And mentoring affords us that. Mentoring is a gift. It is a gift to both people. You might be interested in how to go about getting a mentor. There are a few different ways. You might feel more comfortable with one method over another, but the first thing I would recommend would be that you spend some good time in thought and prayer about what it is that you are desiring or needing. Sometimes we need a mentoring relationship that really sharpens us. Other times we may need the support or advice. Do some soul searching to understand what it is that you are looking for in a mentor relationship. Ask at your church if there is a method for helping people find mentors. Initiate discussion with friends about mentors they have heard about in the community. Look to those you admire and respect, to see if there is someone you might ask. Search in community or church groups for small groups where you might meet someone who would be a good mentor. 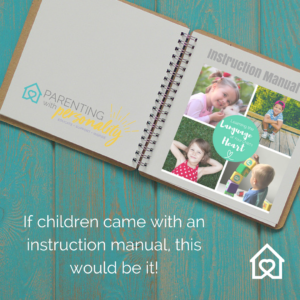 As wonderful as the mentoring relationship can be, remember to have very reasonable expectations and communicate clearly about what you desire in the relationship. When these relationships don’t go well, it is usually because of unspoken expectations or because someone feels let down. Remember both parties are human, will make mistakes, and may even speak things in a way that might be hard to hear. Have grace for each other and talk it through. It’s worth it! In the past several years, I have had the privilege of doing life with a young mom. We have met and done studies, talked, prayed, cried, laughed, and so much more. I feel so honored that Ashley took the risk to ask me to mentor her. I was quietly sitting back, praying that God would bring someone into my life that I might invest in. Never did I imagine that the relationship would grow so dear and special. 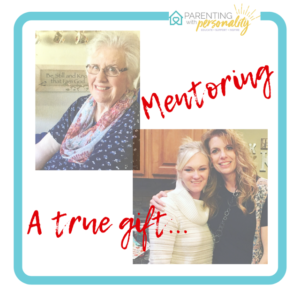 This mentoring relationship has been a true gift. While our personalities are different, it doesn’t even matter. 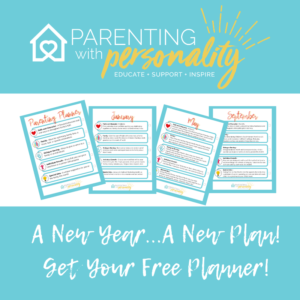 We have covered the gamut of topics in marriage, parenting, spiritual walk, life challenges, and more. Her friendship is unique and special. She has grown to be like a younger sister to me. After mentoring together for some time, she started mentoring another young lady. This ripple effect is exactly how it is meant to work! I feel so blessed to have this friendship and mentoring relationship in my life. We sharpen each other, encourage each other, and hold each other accountable. It is not a perfect relationship. I know I have let her down or not done something when maybe she wished I had. But we have learned grace for those moments too. I couldn’t be more honored or blessed that God brought this opportunity and gift into my life. Mentor relationships are key to helping us grow and thrive. They help us refresh, refocus, and regroup when things are challenging. Don’t underestimate the value of these relationships. You may be reading this article and thinking about finding a mentor. Go for it! And you might be reading this article and thinking, I’d really like to be someone’s mentor. Do it! I couldn’t encourage you more! Show me a successful individual and I’ll show you someone who had real positive influences in his or her life. I don’t care what you do for a living—if you do it well, I’m sure there was someone cheering you on or showing the way. A mentor. Denzel Washington Click & Tweet! Action: Choose this week if you’d like to be a mentor or find a mentor. Then take the next step to make it happen. For further thought: How might you encourage your teen in finding mentors? Especially during teen years, another sound voice in their life can be a true gift. They may seek advice or trust someone with a struggle they may not be quick to share otherwise. 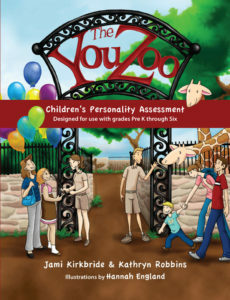 Are there people in your child’s life that would make a good mentor? 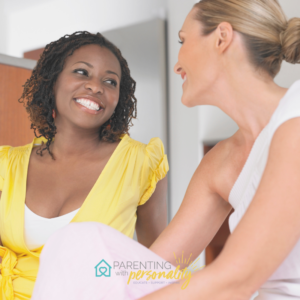 Consider a discussion with your older child about mentoring and what makes a good mentor. It is also important that we teach them the value they have and can share with others as mentors to those who are younger and look up to them. 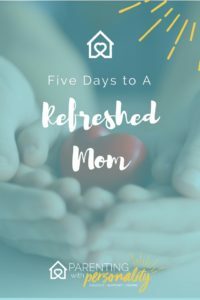 Speaking of refresh, refocus and regroup….How about that Five Days to a Refreshed Mom Challenge!! The time is coming! 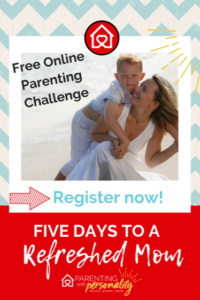 Don’t miss out on this great opportunity to connect with other moms, get practical tools, and fresh ideas. Go to the following link to register for the online challenge. And don’t forget to invite your friends! We had over 250 women involved last year and can’t wait to see what exciting things await us this year!! Hooray!! Go now and sign up!